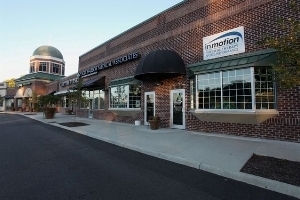 Located at the Shops at Eagle Harbor on Carrollton Blvd., In Motion Physical Therapy shares this location with Eagle Harbor Medical Associates, Bon Secours family medicine practice in Isle of Wight. In Motion offers a select range of physical therapy programs delivered by medically directed, experienced staff. This In Motion Physical Therapy clinic operates as a department of Bon Secours Maryview Medical Center.